While our Lake Michigan shoreline is spectacular, there is much to draw you inland. Our thriving communities are rich with experiences, scenic drives, rural landscapes and urban amenities. Take some time to enjoy the full diversity of LaPorte County and while you’re here tell us about the great Customer Service you receive! The 2018 Accommodation of the Year Award goes to Bridge Inn. 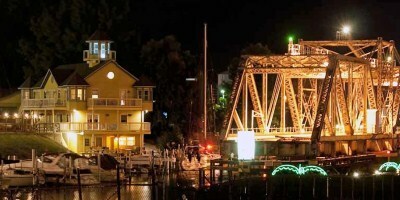 Bridge Inn is located near the old train bridge on the Trail Creek waterfront in the heart of Michigan City. It’s within walking distance of Blue Chip Casino Hotel & Spa, Washington Park & Beach, Lighthouse Place Premium Outlets and the Uptown Arts District. 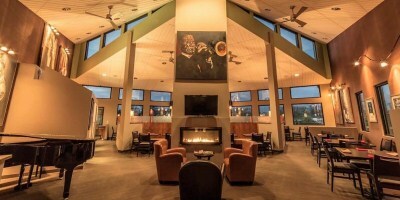 Bridge Inn may be one of the smallest hotels located in the LaPorte County area, however they are one of the biggest ambassadors for the county and the tourism industry. The 2018 Best Fest Award goes to the Taste of Michigan City. 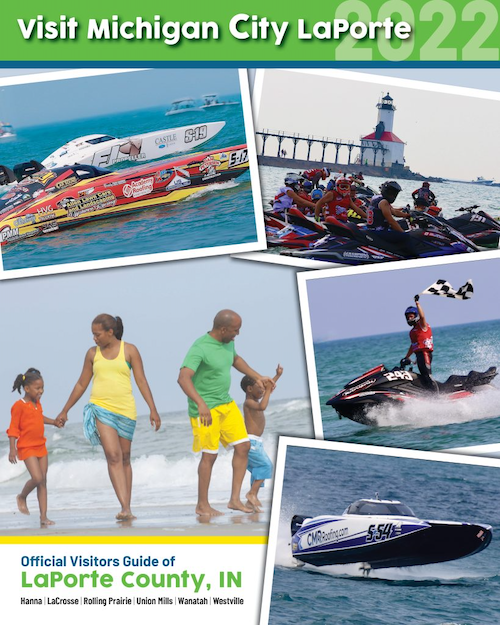 The Taste of Michigan City is an annual event that works in conjunction with the Great Lakes Grand Prix. It was created and is hosted by the Michigan City Mainstreet Association. 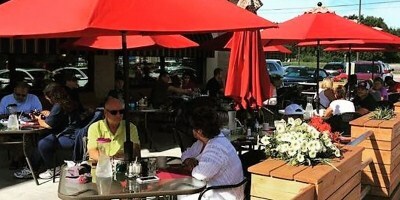 It brings dozens of local restaurants to the Uptown Arts District giving people an opportunity to sample the many exciting varieties available in and around Michigan City. This event brings thousands of people to the Uptown Arts District each year. The 2018 Distinguished Artist Award goes to Patrick Landers. Patrick has worked with Visit Michigan City LaPorte for many years, always making himself available for our photographic needs. He’s been our official photographer for the R.O.S.E. Luncheon, Winter Glo and our holiday photo, plus any last minute photo or video we need. He always makes time for us and has been “capturing the moment” professionally for over thirty years. 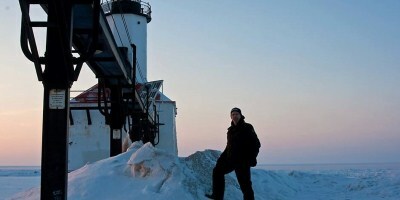 Patrick is also the owner of Midwest Video Communications based in Michigan City. MVC incorporates digital, video and all other forms of communication. The 2018 Distinguished Artist Award goes to Julia Holmaas. Julia created her first oil paintings at age 10. After college, the National Park Service employed her until retirement as Chief of Interpretation at Indiana Dunes National Lakeshore. She began painting watercolor in 1992 while working as an Exhibit Curator at the NPS Design Center in Harpers Ferry, West Virginia. 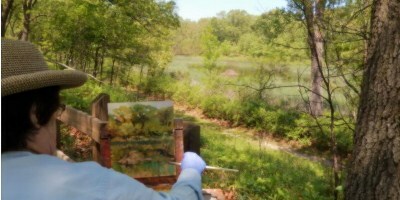 In her paintings both watercolor and oil, you’ll see what is familiar to you and your surroundings here in Northwest Indiana. We believe she captures us doing our thing and seeing what we see so well and she’s won numerous awards for her work. The Green Award Winner is the Michigan City Area Schools Solar Power Initiative. Michigan City Area Schools celebrated the addition of new solar arrays to its facilities. 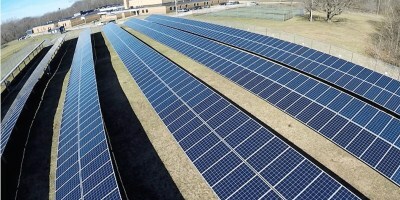 The recently installed ground-mount solar arrays feed into the NIPSCO power grid and the school corporation expects the new solar panels, which have been placed at 7 of its 16 facilities, including the main administration building, to offset utility costs by at least 52 percent per year. That’s an annual savings of about $704,000 dollars. The 2018 Agri-Tourism Award Winner is Mark’s Farm Market & Greenhouses. Mark’s has been in business for almost 30 years offering home grown flowers and vegetables from early spring to late fall. 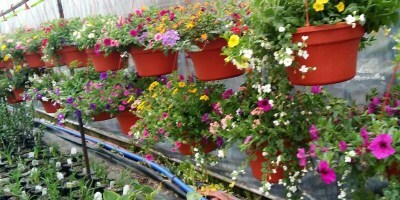 The greenhouses open in late April with home grown bedding plants, patio pots, hanging baskets and perennials. Homegrown vegetables are ready in July through October. They sell locally grown Christmas trees and wreaths in December. The 2018 Landmark Award goes to Phyllis Jones and the Sunflower Fair. Phyllis Jones started the Sunflower Fair as a bake sale in a parking lot. 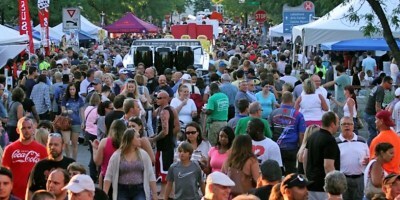 Today it covers 12 blocks in Downtown LaPorte with everything from a Sunflower contest, kid’s rides, a food court, live music, an art show, a classic car show, a rib cook-off contest, scarecrow building contest, a 5k run, and over 160 craft and miscellaneous vendors! 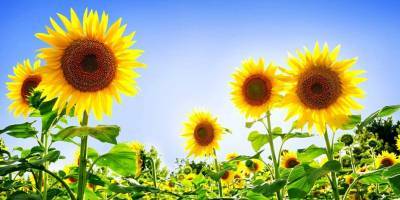 2018 marks the 20th year of the Sunflower Fair. The 2018 Lemonade Award Winner is the LaPorte Urban Enterprise Association. Downtown LaPorte has been rejuvenated over the last few years with the challenging work of the UEA. Various projects undertaken have included the purchase and renovation of the 518 Lincolnway Building, the block grants with an 80/20 funding match for exterior improvements of 22 buildings, the installation of a musical instrument with the Joyful Noise Campaign at the 618 Plaza as well as contributing over 50k for park improvements. The 2018 Putting LaPorte County on the Map Winner goes to Ric Federighi-WIMS-AM 1420. Ric had a long successful radio career in Chicago, primarily as an award-winning traffic reporter, before coming to Indiana. He’s the general manager (and owner) of WIMS-Radio, a talk radio station in Michigan City (1420 AM). Ric has worked with our CVB for over 15 years promoting our events and our mission. Since he purchased his studio in Michigan City he has made it a technological state-of-the-art facility and he was the first station in the area to stream live. 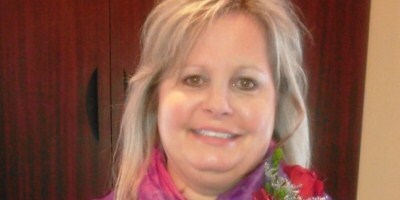 Putting LaPorte County on the Map Winner goes to Mary Ellen Hatton. Mary Ellen sees and greets over 25,000 visitors each month. Some guests require a little something extra and she is always willing to step up and make that happen. In addition to helping create special moments here, Mary Ellen recommends local businesses as well. Florists, sushi, golf, charter boats, wineries and breweries all should know their champion! She introduces visitors to these things and provides directions, hours and more. The 2018 Quality of Life/Quality of Place Award goes to Habitat for Humanity. In response to the ever-growing need for shelter in our community, Habitat works in many ways: new construction, repairs to existing homes, small loans for incremental building and home improvements, help establishing title and ownership to land, advocacy for better laws and systems, disaster prevention and recovery and more. 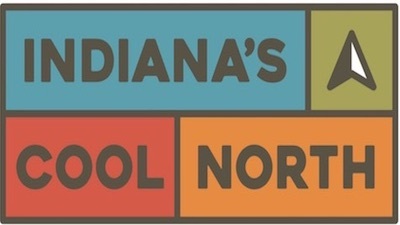 The 2018 Northern Indiana Tourism Development Commission (NITDC) Breakfast Wars Winner for LaPorte County was Jennifer Baltes – Jennie Rae’s Restaurant. 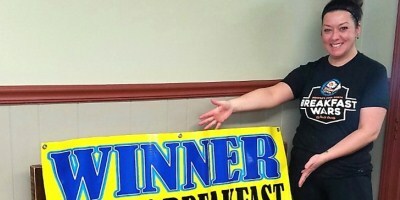 In March Visit Michigan City LaPorte was proud to announce the Breakfast Wars champion, Jennie Rae’s Restaurant when they secured the title of Best Breakfast in LaPorte County through a vote from the public. The 2018 Outstanding Elected Official Award goes to Mayor Ron Meer from Michigan City. Mayor Meer’s list of accomplishments that Michigan City has seen over the previous year is extensive including: Promise Scholarship, New police station, Artspace, Franciscan Alliance Hospital, South Shore Line Double tracking, Downtown Plaza and the Great Lakes Grand Prix. 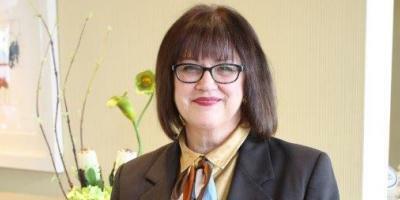 The 2018 Professional of the Year Award goes to Karen Gazdick – Best Western Plus LaPorte Hotel & Conference Center. 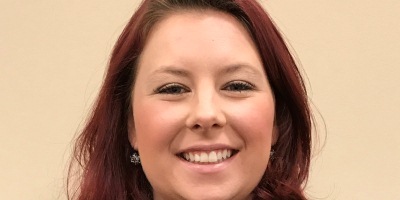 Karen works with the Pop Warner groups that populate our LaPorte County Hotels throughout November, the Dunes Volleyball Teams, regional high school basketball teams travelling to the area, conventions, business meetings as well as weddings and bus tours. The 2018 LaPorte County Achievement Award goes to Falishia Pratt. One of the biggest draws for out of area visitors is the Sales and Conference facilities provided at the Blue Chip Casino Hotel & Spa. Between 15,000 and 20,000 guests stay in the hotel each year and many more come and stay in other hotels as well. For blocks of guests staying, this can be stressful to co-ordinate. Falishia is a hands-on person who touches every sales reservation and rooming list. She provides top notch care to planners to ensure visits are perfect! The 2018 Newcomer of the Year Award goes to Bartlett’s Fish Camp – Nicole Bissonnette & Gary Sanders. They have overcome many obstacles their first year, not the least of which, was the winter weather. Nicole said, “It is really hard when you encounter a blizzard on Lake Michigan and you have a restaurant full of fresh seafood. 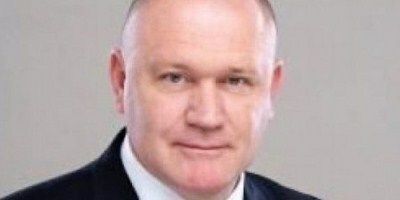 We had to become very creative with our marketing and we took the loss”. However, they persevered and have really reached out into the community and region to present some unique cuisine and to become a good partner. The 2018 Employee of the Year Award goes to Kelly Sims. Kelly is an amazing employee. She absolutely is a kind and generous soul. She embodies everything that hospitality (and the goodness in humanity) stands for. We had a guest that has stage 4 Brain Cancer whose name was Rose. Kelly immediately bonded with her and on a beautifully snowy Saturday afternoon, Rose decided to go out and make snow angels while her sisters videoed her doing so. Kelly helped her to the snow, watched her struggle to make the angel and then helped her up. When the sisters stopped videoing, Kelly jumped into the snow angel imprint to make it more defined for the sisters to continue videoing. The 2018 Employee of the Year Award goes to Bryson McKeehan. 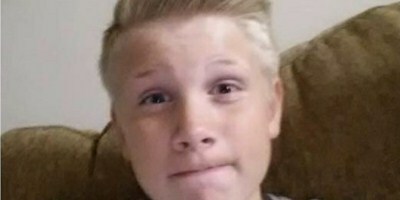 Bryson was a young high school student with an interest in culinary arts. He showed up and applied for the job with his mom, at Bistro on the Greens. His mother expressed the challenges of finding a job for Bryson in the restaurant industry with zero experience. After spending over an hour during the interview process with Bryson and his mom, the owner of the restaurant was convinced he was special and gifted. Over the few short months working with Bistro on the Greens, Bryson has been a host, a busser, a dishwasher, a food expediter and salads and appetizers person. On the busiest nights he quickly mastered all these job responsibilities effectively. 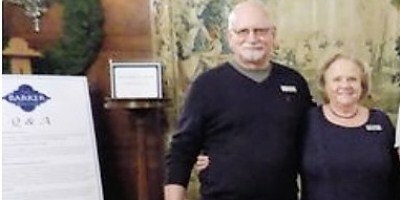 Kis’ partner in both life and business, Jeanne Hoyle, said the two met and began their relationship in 1992, while Kis was managing Portofino’s in La Porte. In 1994, Jeanne Hoyle bought Top Dog and Ed became the general manager, they opened to the public on Feb. 6 of that year. 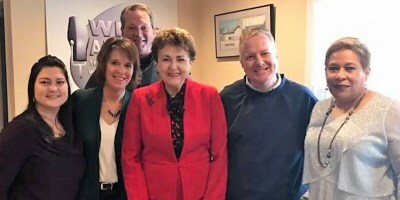 Kis had longstanding relationships with organizations like the Michiana Humane Society, Michigan City Mainstreet Association, International Friendship Gardens, Michiana Resources, the Share Foundation, Red Cross and American Cancer Association. 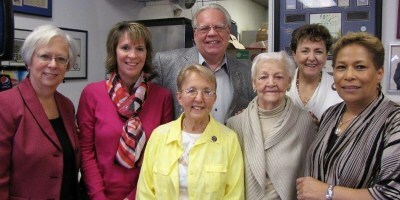 Michigan City, Chesterton Rotary Clubs and the LaPorte County Convention and Visitors Bureau. The 2018 Unity Award goes to Nancy Moldenhauer – Northwest Indiana Green Drinks. 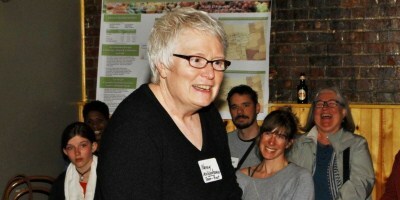 Although she is active in several organizations, she deserves the award because of her work in Northwest Indiana Green Drinks, which is an educational event she arranges one Thursday a month at Shoreline Brewery. Using her environmental connections, she always manages to find terrific speakers with great ideas that her audience can use to take away and make the Duneland’s and even greater place to visit or to live! Nancy more than deserve this acknowledgement. From information on proper septic system maintenance, to the right plants to put in or take out of your yard, to learning about how double tracking on the South Shore Line will impact the environment, to featuring local environmentalists who market eco-friendly products and ideas – Green Drinks has it all! The 2018 Unsung Hero Award goes to Scott Combs. 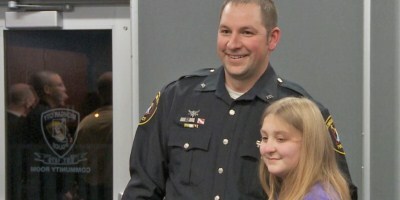 Michigan City Police Officer Scott Combs was just happy that he was in the right place at the right time to save a 12-year-old girl from a near-fatal dog attack. 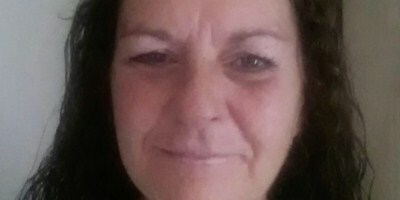 Morgan Winter almost bled to death November 10th when attacked by a 140-pound bull mastiff near her home. Combs, a former paramedic, was first on the scene that morning. ”Officer Combs is an angel in disguise,” said Ruth Hall, Winter’s mother. ”She’s a very strong little girl. She does what she needs to do,” Hall said. Officer Combs was honored with the Lifesaving Award for his brave actions that day and Winter received a new bicycle and gift card. The 2018 Volunteer of the Year Award goes to Pat & Bruce Frankinburger. Barker Mansion could not welcome as many visitors or serve as many school children without the help of volunteers Pat and Bruce. Pat has organized major events at the mansion including “Bangles, Booze and Boogie” and “A Mother’s Day Gift” workshop. She has even been our featured First Friday artist – twice – with her jewelry business. Bruce has served as bartender at our events and both have participated in the massive task of Christmas decorating – and un-decorating. Pat helped plant the garden last year as well. They are truly game for helping the mansion in any way possible. The Restaurant of the Year Award goes to Sophia’s Restaurant. Sophia’s Restaurant in Michigan City knows how to make you feel welcome. Their moto is “we treat you like royalty taking care of the most important meals of your day”. Owner Stelios Metris makes sure he’s at the door along with his friendly staff to greet and seat you with a smile. 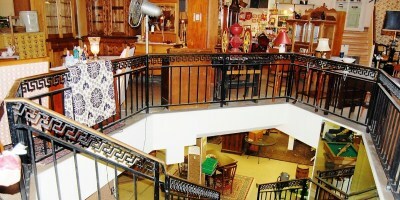 His well-trained staff offers the best customer service you will experience. You will also see Stelios walking around to each table making sure his customers are happy with their delicious food. The 2018 Restaurant of the Year Award goes to Bistro on the Greens. Chef John Moultrie makes dining at Bistro on the Greens a very special experience. He welcomes diners with sincerity and enthusiasm and sets a wonderful tone for dining with great atmosphere. His servers display professional polish and service due to his extensive and patient training. He cares about the community and is a wonderful ambassador for LaPorte county. 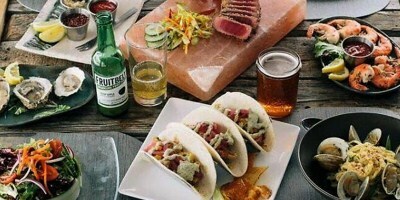 Watch for an expansion of the restaurant with outdoor dining and a beer garden. The 2018 Retailer of the Year Award goes to Younique Boutique – Chrissy Berry. You-Bou is the nickname given by the customers of this store, Younique Boutique, a fashion boutique opened in the historic Rumley Building on Monroe St in LaPorte. She found the space in the Rumley Building and instantly fell in love with the windows. 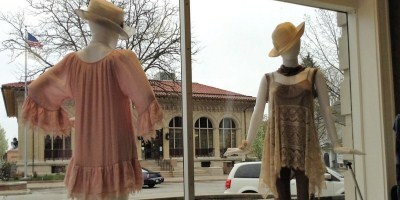 The floor to ceiling windows overlook the street, allowing Berry to position her mannequins to be seen by any passers-by. The business opened almost 2 years ago and has enjoyed much success.